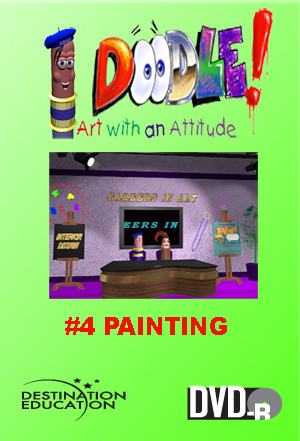 In this episode Doodle and Dabney will take the class back in time to study the history of painting. The different types of paints such as oils, acrylic and watercolors will be discussed. A special guest artist, Linda Vance, appears on the show to demonstrate the various types of brushes and painting techniques. The works of Rembrandt are studied in the museum.